Considered as one of the largest parks in Southeast Asia. 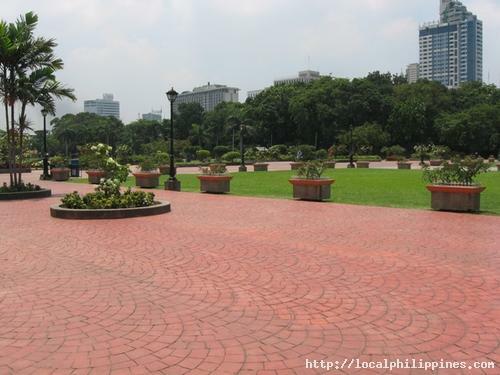 It has an area of 58 hectares which runs from Taft Avenue up to the walls of the famous Manila Bay. 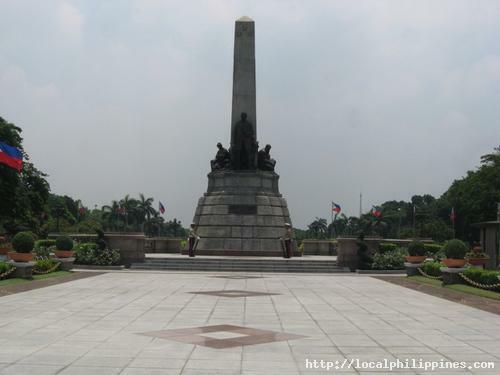 It was also called "Luneta" which means which means "Little Moon." 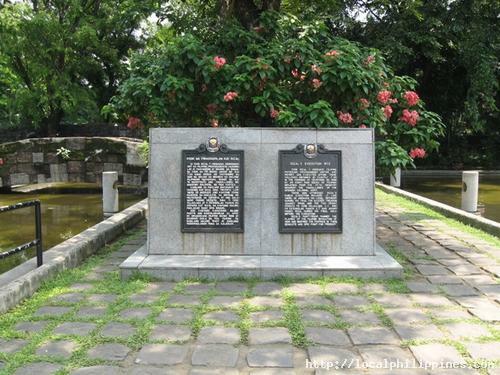 The place is significant because for 74 years, it was used as an execution ground by the Spaniards for Filipino rebels and multineers. By 1902, Daniel Burnham, architect and city planner chose the site to be the proposed American government center. He designed a U-shaped position building, but only three were erected. These are the Executive House, the Department of Tourism building and the Department of Finance building. It is acquired its present name "Rizal National Park" in dedication to the Philippine national hero, Dr. Jose Protacio Rizal whose mortal remains were interred in the cornerstone of the Rizal Monument in 1912. This is where he was executed. 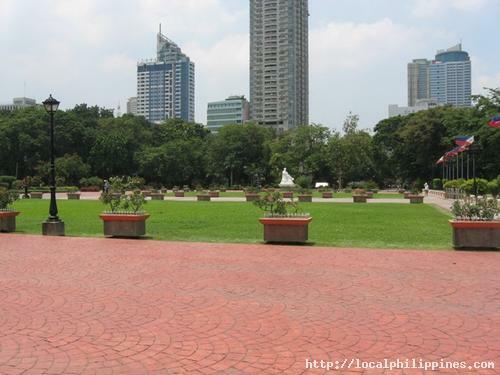 What tourists will see in the park are the the statue of Jose Rizal, a Chinese Garden, grassy picnic areas, and restaurants. Coming from the south of Manila, take any Taft Avenue bound jeepney. Get off right at the park. From Quiapo, one can take a PUJ bound fro T.M. Kalaw St. via Taft Avenue and get off right at the park.